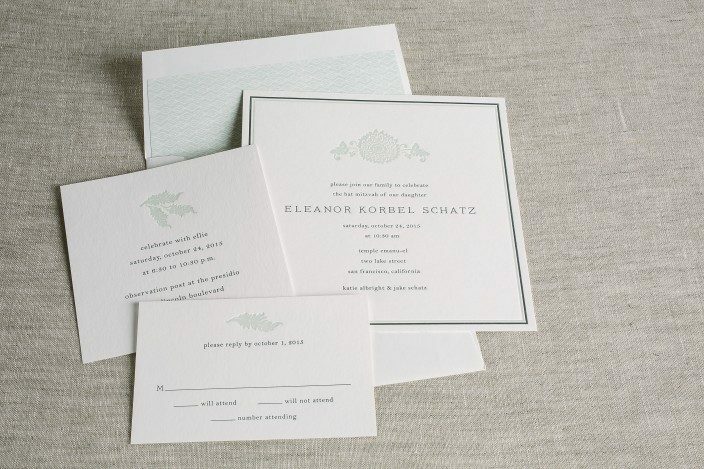 We created a minimalist floral look for Eleanor’s Bat Mitzvah invitations by customizing our Ossa design in sea mist and midnight letterpress inks. 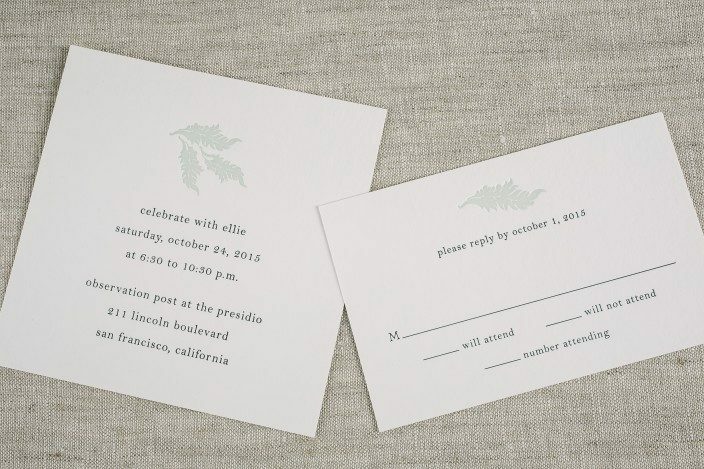 The square invitation featured a simple border and clean, sophisticated fonts, while the reply card and reception card each had a similar vibe and featured coordinating vine-like motifs. 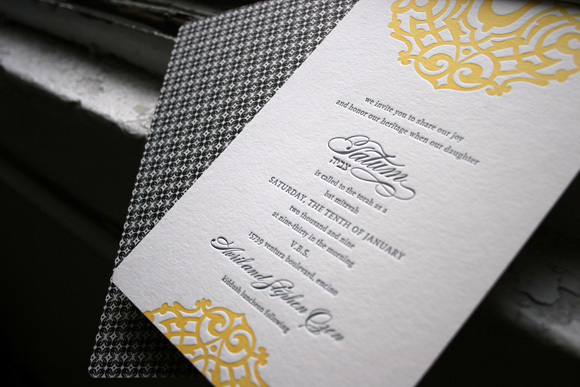 Sea mist envelope liners in our Phelps pattern tied the set together. 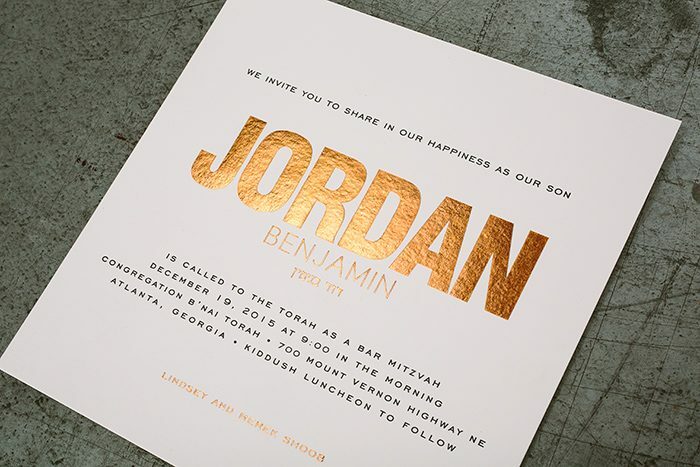 We worked with Mieke at Simply Put to create these iconic Bar Mitzvah invitations for Jordan’s December celebration. 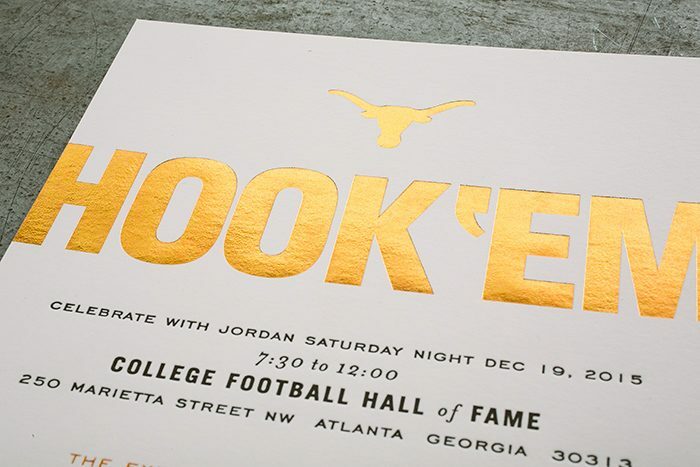 The party was held in Atlanta at the College Football Hall of Fame, and the invitations helped set the tone with details inspired by Jordan’s favorite team — the Texas Longhorns. 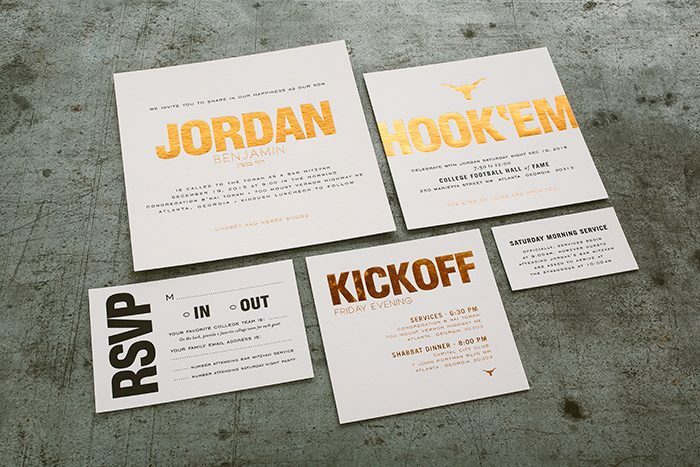 Thoughtful touches were included throughout this modern set — we loved the play-on-words used on some of the pieces, like the “kickoff” for the Friday evening services, and “hook ’em” for the Saturday night party card. 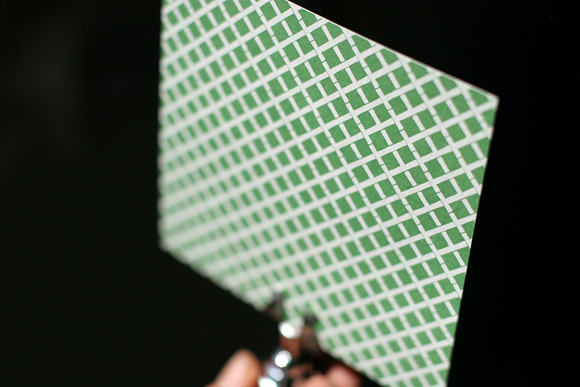 Guests were asked to share their favorite college team on the reply card, a detail that was incorporated as a final touch at the actual event. We worked with Debbie at RSVP Today for these custom B’nai Mitzvah invitations for Lindsey and John’s ocean-inspired celebration at the Lighthouse at Chelsea Piers. 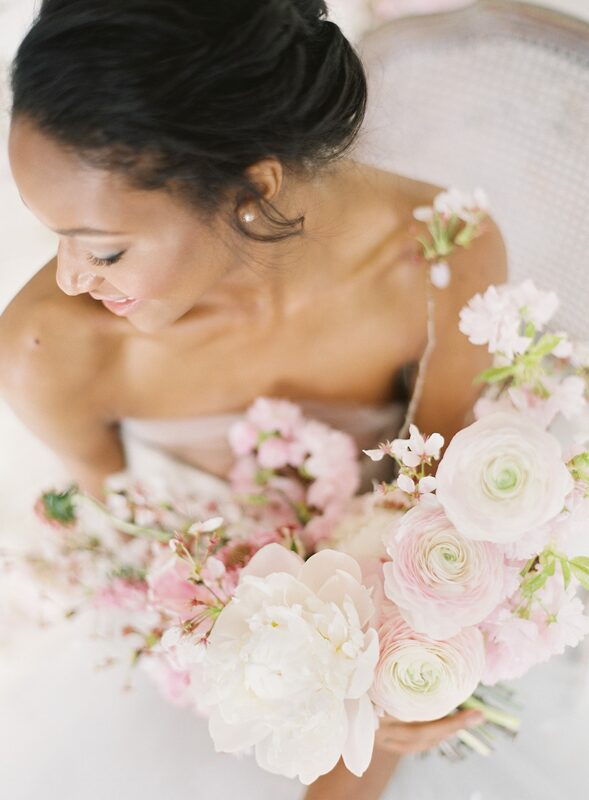 Our Walsh design worked perfectly for the occasion. 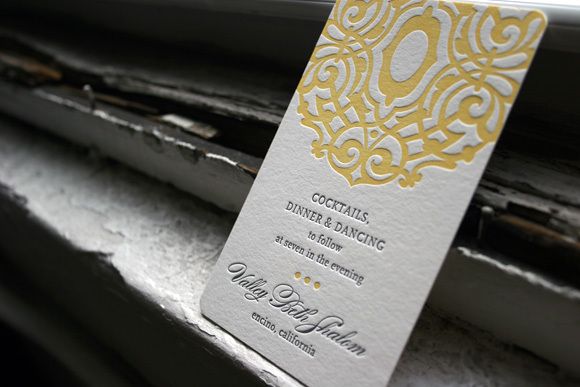 Letterpress printed in ocean ink, the invitations featured a simple blind debossed starfish motif that peeked out of the invitation sleeve. The best part? 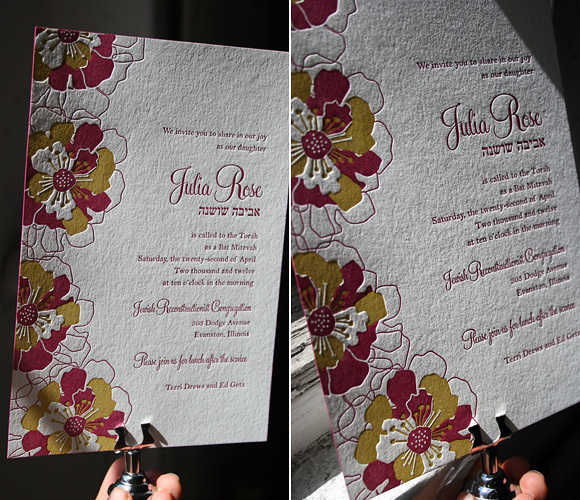 The invitation sleeves were double-sided, with “John & Lindsey” printed on one side and “Lindsey & John” printed on the other. 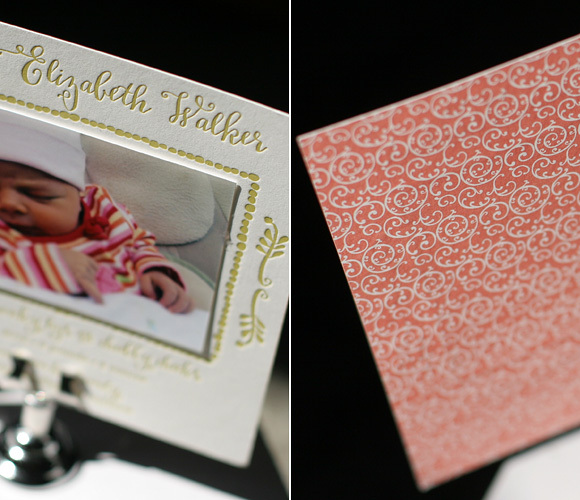 For our Roxbury B’not Mitzvah invitations, we picture a vibrant celebration filled with lots of color and style. 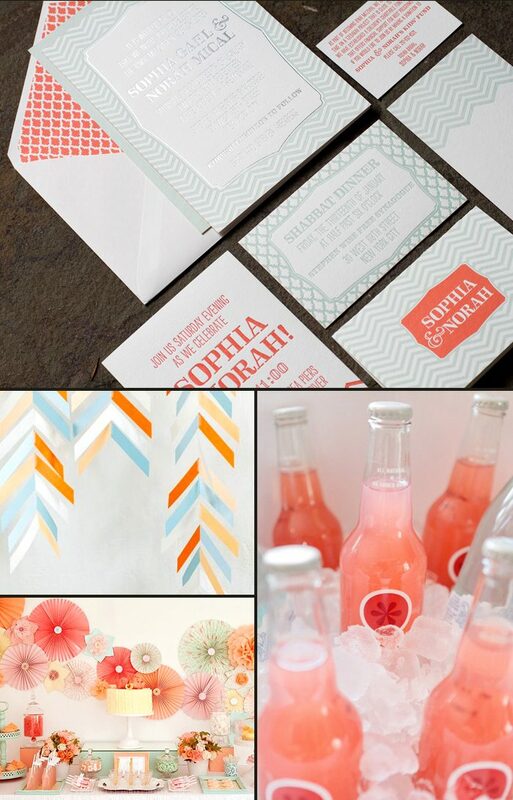 This invitation suite features a variety of our patterns in sea mist and papaya inks, so for a Roxbury-styled party we’d have colorful candy, fun fizzy drinks and a cute photobooth backdrop with colors and patterns to play off the invitations. 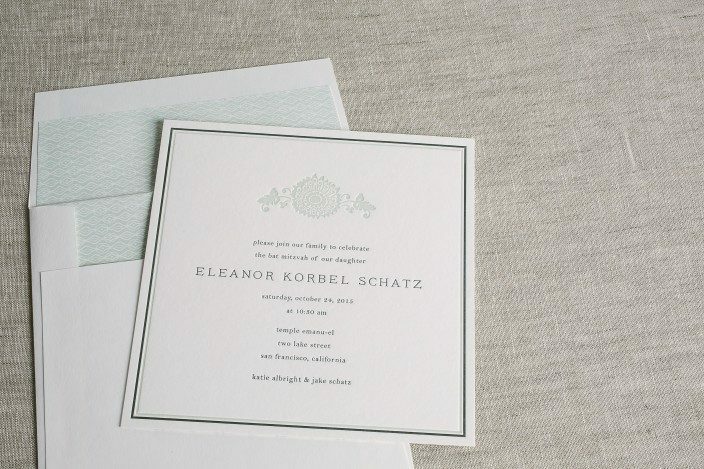 Rounding out all of our exciting new releases, we’re happy to introduce our inspired new letterpress social stationery designs, available now at your local Smock dealer. 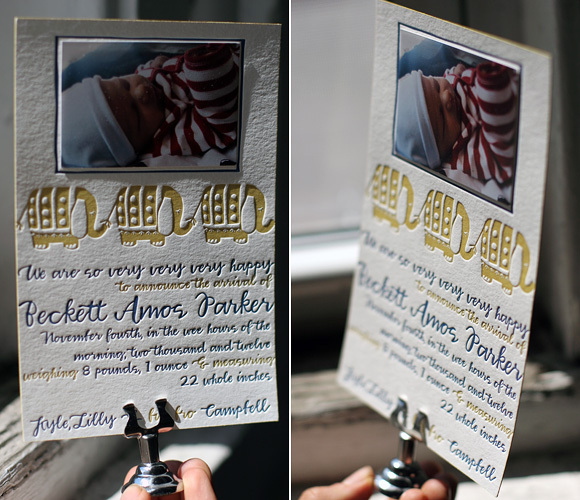 Perfect for letterpress baby announcements, bar and bat mitzvah invitations and save the dates, our latest designs showcase fabulous colors, bold patterns, our exclusive calligraphy fonts, and can even be designed to fit a wallet size photo. 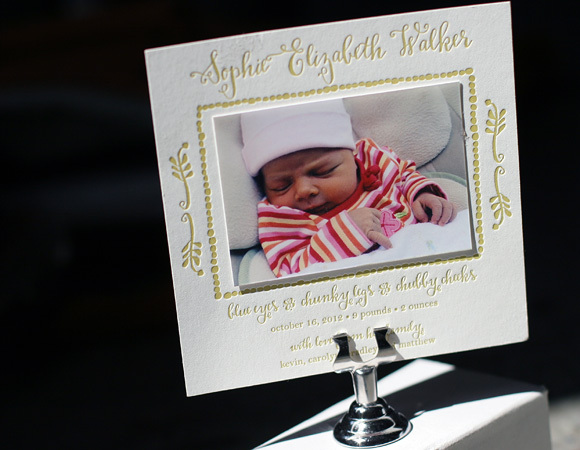 Looking for truly inspired letterpress baby announcements, invitations, moving announcements, or calling cards? We’ve got you covered. 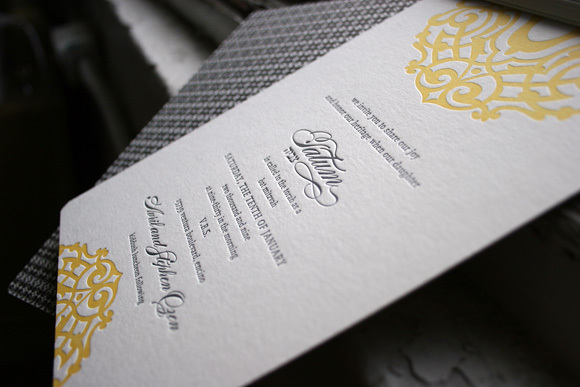 These letterpress bat mitzvah invitations we printed, our Lashar design printed in verbena and pewter inks, are a fun mix of modern and traditional. 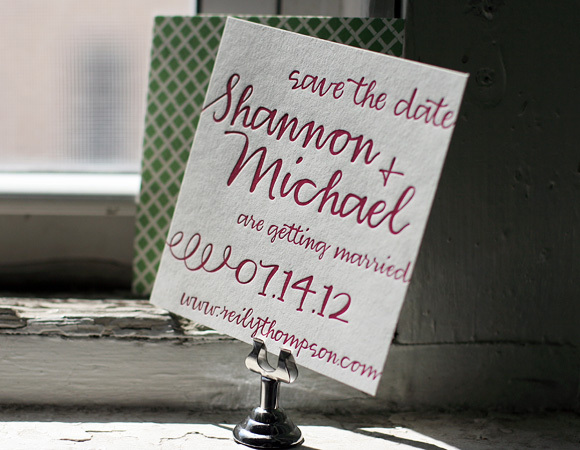 We love the bold colors paired with the formal mix of script and roman fonts. 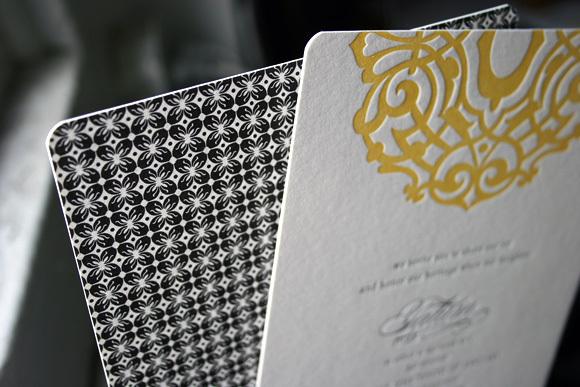 The reverse of the invitations feature our inari pattern printed in black for a look that is contemporary and fresh without feeling too youthful.